Chris went out first for the junior boys and, apart from a mistake in the confusion of the vineyards midcourse, he was pleased with his ride. Tom put in another good performance on the second leg with a very clean ride and sent Marc out in 7th position. He had a bit of trouble on the first control, but settled into it and was in 6th place at the spectator control with the middle distance champion, Krystof Bogar of the Czech team, hot on his heels. Through the last loop they were in a head to head race involving elbows and jostling. Bogar managed to sneak ahead by a wheel at the finish line. The Danish junior men won the relay, closely followed by Russia and Finland about 4 minutes down. The senior men came 14th overall and were the 11th official team across the line. Steve and Alex both had solid rides with minor mistakes and Oscar stepped up into the senior mens category for the third leg. He rode well, navigated carefully and was pleased with his ride. Denmark´s senior mens team (Bjarke Refslund, Lasse Brun Pedersen, Erik Skovgaard Knudsen) transitioned to their second leg rider in 12th place, and impressively worked their way through the field to take the gold medal by a 2 minute margin. It would seem, particularly in the mens relay, there were reasonable differences in the forking. Czech Republic and Finland filled up the medal positions in the mens relay. Senior womens relay was won by Switzerland (Maja Rothweiler, Ursina Jäggi, Christina Schaffner) with a thrilled (and a little surprised) Lithuanian team in second and Slovakia in third. In the junior women, there was an impressively tight battle the whole race between Russia and Finland. The Russians ended up winning by a 1 second margin! Tomorrow is the sprint. Unfortunately, it´ll mean a late night for our keen live results supporters in Aus: first starts at 22:00. The terrain is described as urban (including town area with narrow street and lanes) and moderately hilly with a network of forest tracks and paths that will demand technical skills. The expected winning times varies between 18-22 minutes for the junior men to 22-25 minutes for the senior men. 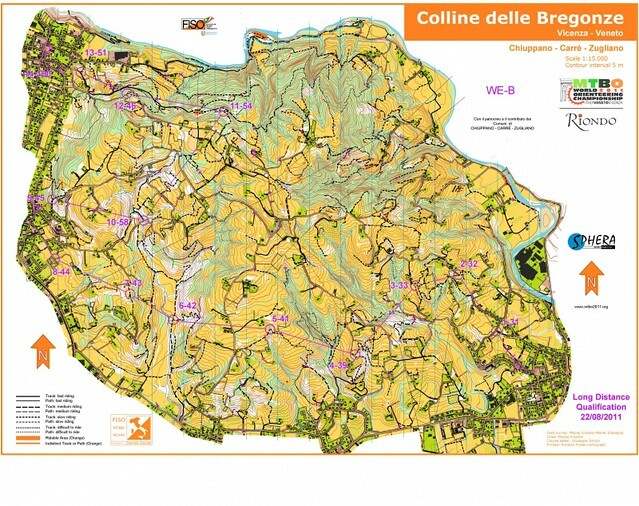 With around 20 controls in courses ranging form 7.5km to 9km we are expecting lots of changes of direction and quick decisions. 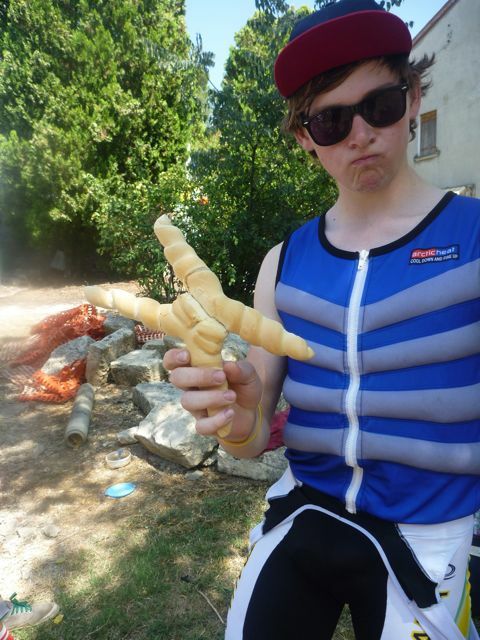 Marc enjoying the ice-vest and a post-race nunchuck croissant. 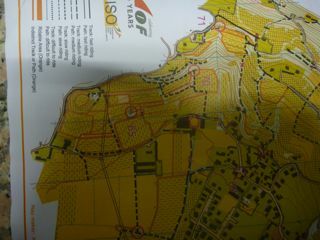 The middle distance final was run (ridden) in Pozzolo di Villaga today in a mix of forested areas and vineyards. Each of the courses involved a spectator control followed by a 10-12 minute loop that brought the riders back to the same spectator control before riding up the finish chute. (Literally UP the finish chute). Tom had another excellent ride and placed 10th in 63:18. Krystof Bogar (Czech Republic) won the junior mens race in 54:56. Marc recovered remarkably well from a pre-race crash and finished in 19th in a time of 66:53. Somehow is chain / deralleur seized up his rear wheel and he went over the hangers whilst he was warming up. Thankfully, he was relatively uninjured and the local bike mechanics got his bike in reasonably working order just in time for him to get to the start blocks. Chris and Oscar had several smaller errors, and although they themselves were disappointed, rode into very respectable positions of 27th (68mins) and 33rd (71 mins) respectively. The womens´ race was won by 6-time world champion Michi Gigon (Austria, 58:02) with a margin of 15 seconds over Anna Kaminska (Poland) and Rikke Kornvig (Denmark) another 47 seconds behind. I had a large error enroute to the 3rd control, and together with some smaller errors later in the course finished up in 40th. The senior men also had a trying day. Steve broke his seatpost shortly before the spectator control and had to ride standing up. He recommends this as a good training technique for the quads, but found it (understandably!) difficult to keep up race pace for 15+ minutes. He finished up all the same in 34th position. The race was run up this years long distance champion, Samuli Saarela (Finland, 55:56) ahead of Ruslan Gritsan (Russia) and Tobias Breitshädel (Austria). Alex had a rare brain fade and punched the wrong first control. Photos of maps and riders from today will come tomorrow (promise!). A late minute post, due to the internet konking out when I had all the start times available and I got round to thinking about writing. The rest day was as advertised, slow start with pancakes for breakfast, a bit of a spin and a bit more playing round with bikes. Most opted to go early because of heat, though in WOC only there is a red start group at the end. This means the top 10 elite riders start last, so fast times will come from this area. Courses have a spectator control 10-12 mins from the end. Quick summary of the long qualification / prologe race. Today has been a long day – the qualification races in the morning, bike part shopping, opening parade and performances and bike phaffing in the evening. So todays blog is short and bland summary of the races, without the spice of the opening ceremony. However, before I dive into that, I´d like to say thanks to all those who have written in our guest book, it is much appreciated (particularly the words of wisdom from great-grandpa Darvo). In the mens 3 heats were riden for the 95 riders, and the top 60 (well... 62, see below) will be riding the final tomorrow. Alex rode comfortably into the final, placing 10th in his heat in a time of 93:01. His heat was won by Erik Skovgaard Knudsen of Denmark (81:05). Unfortunately, Steve had mechanical problems and was not able to finish the qualifying race. He is of course disappointed not to be in the final, however not too disappointed about missing what is likely to be a super-long, hilly, hot long distance. Reigning long distance champion, Anton Foliforov, also sustained mechanical problems and will not be riding tomorrow. Given there is only 56 women competing this year, the «qualification race» simply determines our start positions, and with the long final tomorrow there were lot of us who were taking it fairly easy. I had a clean ride appart from one small error that high-lighted a rather major mapping/organisation error – I had missed a junction from a large track to a small track and when I realised my mistake it was more efficient to take the sealed road around, or at least that was how it was mapped. Along with 3 other male riders, I shortly found myself on the wrong side of a very large, very solid gate with the owner of the unmapped house (and gate) shaking his head at us from the right side of the gate. We all then retraced our steps and found that small track junction and subsequently the control. This error has lead to 2 appeals from riders who missed out on spots in the mens final becuase this discrepency. Therefore, there will be 62 starters in the A-final of the mens race. In the junior classes today´s race was a «prologue» rather than a «qualification» and, like the womens race, it determines their start order. Chris and Marc had strong, mostly clean rides and placed 5th and 12th respectively. All of the junior boys have improved immensely in the past year and we are looking forward to see how they go in the finals. Oscar accidentally rode from controll 9 to 11 (controls 9, 10 and 11 were more or less in a straight line) and has therefore miss-punched, however control 10 was only minimally out of his way and he would have come with quite competitive time. 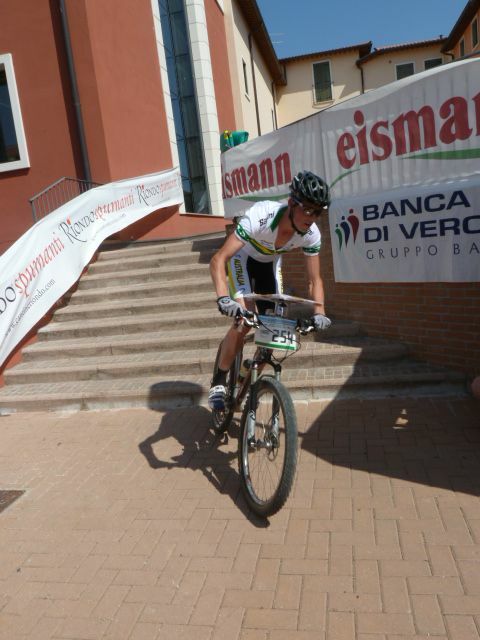 Tom also rode strongly, but had a mistake early on and again later in the course which has cost him time. Finally, the dreamteam competition is on again this year: www.michigigon.at/dreamteam. Entries due before 10am Italian time tomorrow, in case anyone familiar with the process (or curious enough to try) wants to participate. There are two topics from yesterdays blog entry that I would like to elaborate on today: the commemorative monument and the yellow-orange passages. And there it is!! 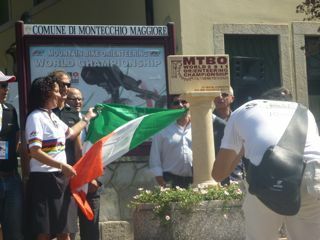 A lasting piece of evidence of the 2011 MTBO World Championships. The only thing that pictures can not do justice to in this instance is the speech by the stone maker explaining the significance of the work. I have attempted to summarise the contents of this speech from memory, but cannot pretend to have captured the whole meaning behind the monument. 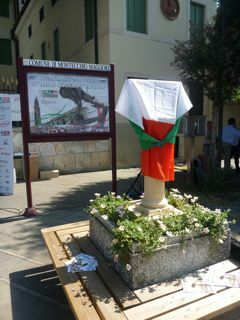 He said that this monument represents the internationally significant event, the partnership, the valleys and hill tops of the Veneto area and the excellent food and wine produced in the region. The orange passages were again a source of confusion at the model event again today. The map below shows a network of these passages at 1:7500 scale. Unfortunately, some of the subtleties were lost on the 1:15000 version of the map. While the map seems fairly straightforward, on the ground the difference between a orange passage and the otherwise very clear rides between grape vines is very confusing. Even when navigating off embankments there were times that, for example, the lower route appeared more clear than when the orange line was mapped above the embankment. Kay has been promised at the team leaders meeting tonight that the maps for the qualifier and finals will be more accurate. Just finding the training areas has proven a bit of an adventure at times, with sketchy information provided [and freqently leaving reading glasses elsewhere - that bit was a bit of editorial interpretation]. The new mapping symbol of orange stripe on yellow, indicating the only way to ride across open ground, has proven a bit dubious to identify on the ground. Getting used to riding on small tracks through people’s backyards has been interesting. Steve didn’t know what to say to the guy chopping wood with his axe, nor Marc to those having a picnic! Many of the yellow areas are planted with corn, while figs and peaches also abound. The event controller, Antje Bornhak (Germany) has volunteered 6 weeks to this one event. Former Aussie WOC foot O competitor, Maurice Ongainia, is the national controller. Many Italian shops close down for 2-4 weeks in August, so the locals can enjoy summer. This includes bike shops, with only 2 of 6 or so in the vicinity being open. We also struck a public holiday soon after our arrival meaning that the supermarkets were closed for 2 days. We learnt this about 2 hours before they closed, and as we self cater, we had a very hurried major shopping expedition. Three “teams” were sent off with a list of goodies to find and the results were often a mystery as Italian labelling is not always what one would think. The junior boys only realised that they had to weigh and price fruit and vege when they reached the check-out and had to do a return to base. 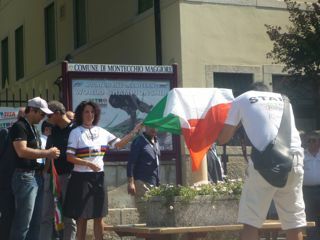 The Italian organisers are big on ceremony with 26 pages of welcome in the event booklet and 115 people listed on the committee of honour! I don’t know how I will have time to coach the team! Today “team officials” are expected to attend a stone laying ceremony in the heat of the day, and then there are the almost daily 12km Nordic walks to undertake, not to mention the golf event (with prizes) on the rest day, as well as the 3 hr tour of historic villas! Then the night before the final event we have a concert on offer. I could be busy, or not! As established last year the juniors are keeping the elites entertained, wether it be their girlfriend liasing, breaking of gear, vocab bloomers etc. The sight of them wearing the compulsory swimming hats at our training accommodation was not flattering. Marc Gluskie has been eating heaps but claims to have lost 5 kilograms! We have supporters in Rob, Jen and Hannah Goddard and David and Julie Firman all ready to cheer on our riders. The ice vests (if we can find some ice!) will be in heavy demand, as the temperatures for race week evidently are set to break all time Italian records, being at least 38degrees every day. Bring it on. 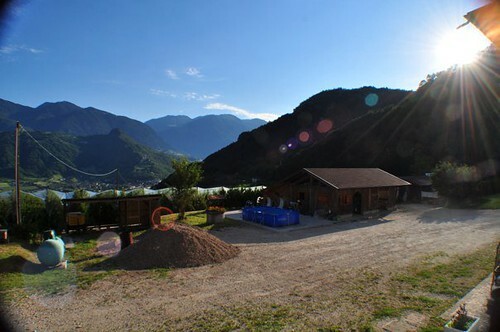 The team has now moved into the WOC accommodation in Montecchio Maggiore (affectionately known as «the M.M. 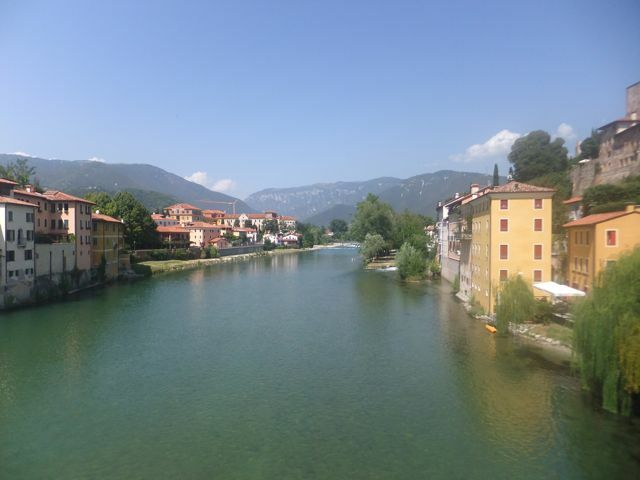 Town») which appears to be the industrial outskirts of the cute old town, Vicenza. We have three apartments with small kitchenettes in each which will provide our chef extraodinaire, Lizzy, with a managerial challenge. This afternoon/evening drove (the scenic route) out to the model event. We decided that the 55 contour climb was somewhat unnecessary 2 days before the start of WOC and convinced Kay to drive us to the top of the hill to do the upper controls first before a hooning descent into the small town of Nanto. One interesting change to the mapping standards for this championships is the inclusion of a deeper yellow/orange colour that identifies passages that are permissible to ride. Mostly, these passages occur along the side of cultivated land, which in this area is mostly corn or vineyards. The problem we have encountered so far is that it is difficult to determine where these passages are in reality. Some of them actually appear to have vechile marks, whilst others are grassy and at least one that I found today was overgrown (a confusing situation when is marked as apparently very clear). Archeologists in years to come with be thrilled to find this long lasting documentation of this historically significant competition. The author will brave the heat of the day and forfeit her siesta to provide you with photos. Needless to say, we are expecting the the coming week to be quite a performance! Day three of training and we had been joined by Mel, who has been deported from Norway. We had a short warm up to the start from our accomodation. It began with a fast road descend followed by a rather steep ascent to the starting point. Marc and Oscar won the warm up to the top in convincing fashion! Once we made it to the start we were given two middle distance courses to ride individually. Evererone found parts of the mapping to be rather dubious and the steep hills were hard going. It was extremely hot and a break before starting the second course was very welcome. When we arrived back to the car after the second exercise Lizzie had cut her finger ioen trying to cut rolls for Lunch. Luckily Mel is a doctor so she was patched up quickly and everything was ok.
Everyone was feeling pretty tired the next day so we had a rest day in preparation for a race with other countries on Wednesday. 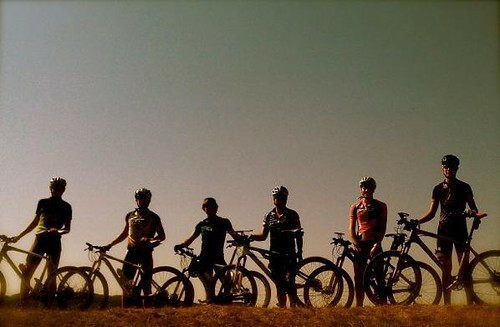 The boys headed off for an easy group ride on the Brendola map for a hour and unfortunately Marc broke his derailleur cage and snapped his chain in the same ride. Coffee afterwards in Perarollo was much appreciated by Steve and Alex. Mel also headed to the same map to do some map training the same as the boys had done on teh first training day. 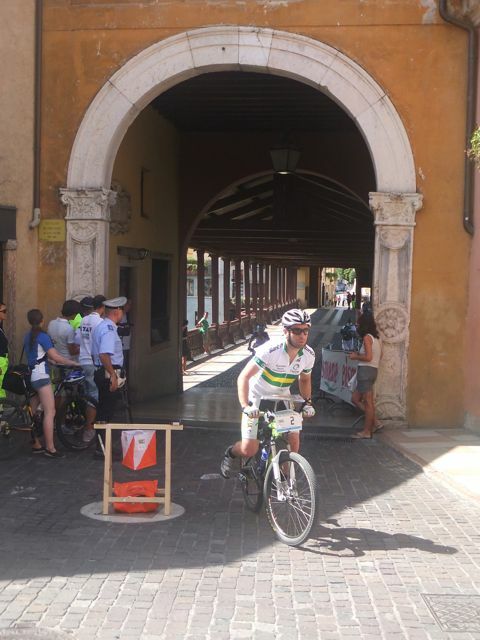 After the ride everyone headed into Vicenza for a look around at the beautiful buildings and streets. 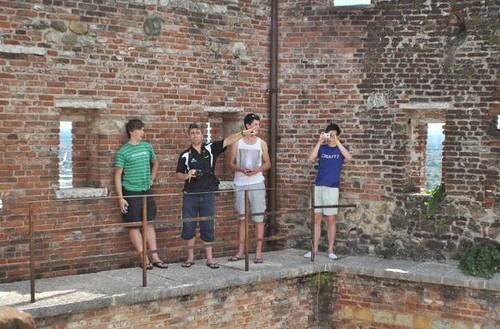 A few checked out the oldest indoor theater in Europe (500 years old) which was rather impressive. 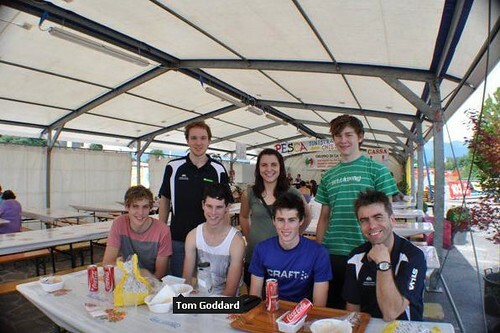 The tassie boys all brought postcards for their girlfriends and chilled in air conditioned McDonalds. On Wednesday we headed to a race put on by the locals. It was held around the vineyards and was extremely hills and at some parts rather confusing. The mercury hit 38 degrees and drinking a lot before, during and after the race was extremely important. After a while riding water bottles were boiling hot and very unpleasant to drink! 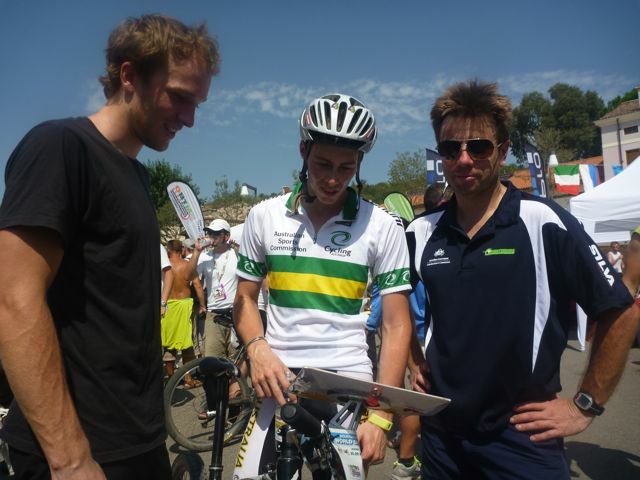 Alex finished in 70 minutes as the fastest Aussie with Steve, Oscar and Tom also finishing the full course. After the race we downed heaps of water and fruit when we met Lizzie at the finish line and then had a very filling meal of spaghetti at a local restaurant. We went in search of a bike shops after this but it seems to be a public holiday or something during August because we had found a couple but they weren't open until 20th August. We eventually found one and stocked up on everything. Chris purchased a rather pricey derailleur as his was bent and Mel got some slick new riding shoes. After this we headed to Longario to where we thought the sprint was to be held but when we headed home discovered the location had been changed! Anyway we had a nice walk around the town and got an ice cream then headed home for a delicious cous-cous meal prepared by Lizzie. 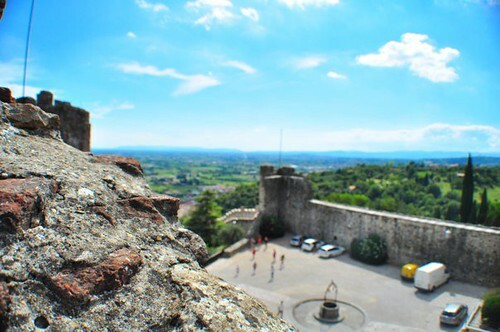 Well Italy is amazing! The team has been here for a few days solidly training hard on local maps in the very hot conditions. The team minus Mel and Lizzie all met up on a map called Selle Valsugana which was at the top of a dead end mountain pass road. A local race was put on for us and it was extremely physical. Steve and Alex had a 23km long course and the junior boys had a 15km course. Steve cut it short as it was very long and Alex rode solidly despite some misplaced controls and strange course setting. Chris was the best of the juniors but was beaten by one of the Russians who also turned up to ride by a few minutes. All three Tasmanians missed #11, only Marc realised and went back from 12 to punch it. After the race the boys went for a roll in the very scenic area to take some pictures, had some coffee and pasta at the restaurant and then tackled the road descent back to the small town of Olle. This led us down switchbacks and very steep roads hitting 75km/h on the mtb! 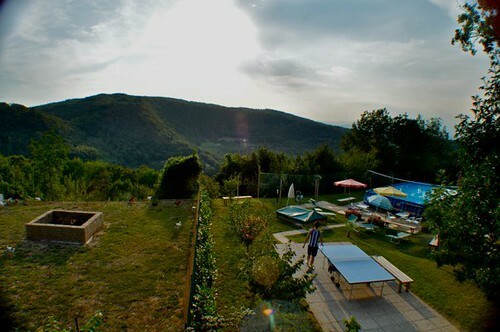 There was a long drive from Olle in the car to our accommodation for the training week in the hills surrounding Vicenza. It proved rather difficult to find and after a delicious gelati stop and three hours we eventually found it! Unfortunately there was a three day public holiday meaning very few shops were open and finding food was challenging. Lizzie cooked up a pasta storm with limited ingredients which was annihilated by hungry riders. Day 1 of training was two minutes ride away from our accommodation. The map was expected to be more like competition terrain as it was one of the official training maps. Kay set us a middle distance course to do pairs route choice on. It was very interesting to see how the tracks were marked and just get a feel for the map. There was some huge hills which in some places were very rocks and in some places relatively smooth, so it was a bit of a gamble as to which track to take. It was certainly different to Australian maps! Day 2 of training and we loaded up the Van and headed North to the town of Bassano del Grappa for long distance training. The long course was expected to consist of very flat areas populated by corn and open fields interspersed with very steep hills dotted with slow single-track making for hard navigation. Halfway through the course the heavens opened up and thunder roared making everyone rather wet but it was still extremely hot and humid. Some rather dodgy tracks cut a few legs up but overall it was a great session. The finish was in a car park where the local church parish was serving up a feast including amazing gnocchi which was devoured by all. On the drive home we spotted a castle on the hillside so stopped to take a look and grab some photos. It was a very steep climb upwards to the top but well worth the burn as there was amazing views in 360 degrees of the surrounding area. Monte Grappe, one of the famous Giro d’talia climbs loomed on one side and on the other was a flat expense filled with crops and dotted with houses. There are only a couple of weeks before the team travels to Vicenza, Italy for the World Championships. 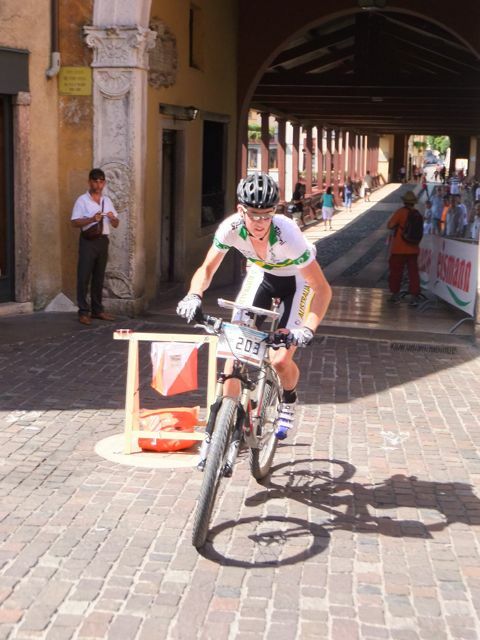 This weekend is the last chance for a MTBO competition on home soil. The whole team has been training very hard and the time has come to start winding down the volume so we peak at just the right time. The three Tasmanian JWOCers will contest the Tasmanian MTBO Championships at 4 Springs Lake. 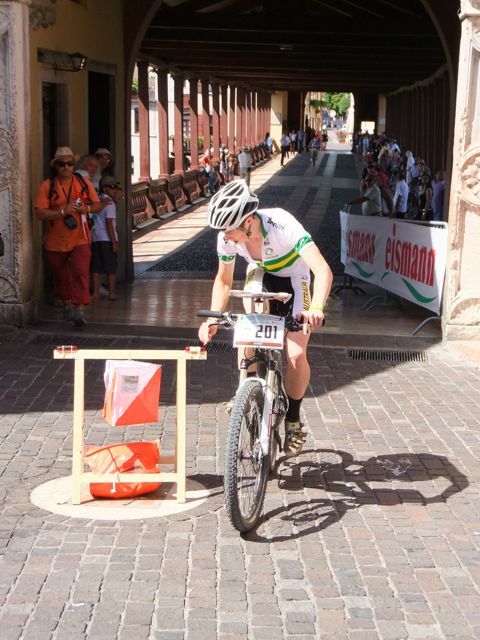 Chris will also contest the Queensland MTBO Championships which doubles as a round of the National MTBO Series. Steve recently competed in the Red Centre Enduro in Alice Springs, a 5 day, 7 stage race. He finished a very creditable 7th overall and 5th in the Open Class. He had a big tilt at glory on the long 77km stage leading for some 40km before a broken chain cost him valuable time overall. 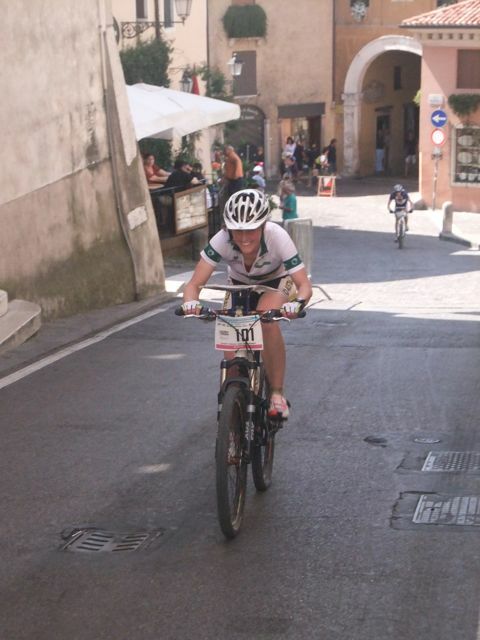 Melanie recently competed in the World Cup MTBO Round in Sweden. Yes, Swedish races were a bit mixed. The middle race was quite good, could have been better. The long was a bit of a debarcle for me. It was a mass start and I was kinda in the back of the lead pack up until control 6. On the way to 7 I made a rather large error with a lot of confidence and then when nothing fit it was much harder to work out what the hell was going on!! I was riding along a track checking off junctions, the last left hand junction was at the right angle for the junction before mine and then I paused confirmed that there was a depression on my left which was also before my junction, and I few onto the left hand turn just after the depression. Basically i had several features that confirmed my turn was the one I took, but the extra bit of information that I didn´t fully check was the direction. Bit of a fail. Anyway, had I looked closer the track that I had thought was the "junction before mine" was probably just a short cleared section that looked a bit like a track junction, but wasn`t, and there were two depressions - one before my junction and one just before the junction before mine. Very annoyed when I worked it out and stuffed up the next control by taking a bad route choice (that I also executed badly). And my results was further compounded by the fact that there was a cross country race going on behind the navigation of Michi up in the lead. Our final race, the MTB WOC Relay Championships turned out to be an excitement filled day, keeping us all on the edges of our saddles! The morning began with a short ride to the assembly area, and at 10am the Senior Mens teams began. Steve was the first leg rider for our first team, and Grant took a place on the line too, to ride for the second "mens" team (which included Mel and Mary). At 10:20 our Junior Boys began with Chris bravely nominating for the first leg. Chris returned in a fantastic time, and Marc headed out, also returning after a great ride. Luke was the final rider and kept up the pace, crossing the line in fifth position, just in front of a frantic Russian. The course was physical, with a big fat hill on the way to most peoples second control, and another just before the finish. Highlights of the day included Super Bock (local VB) at the finish line, some stellar muddy sections on course, and a great repetoire of Grunge music. We were all really proud and pleased to see the junior men string together three of their better rides to get a podium place in the relay. Very pleasing for them individually, but also very promising for the future of the sport. The senior teams had mechanical and gender disadvantages. In the first leg, Steve had a solid ride and sent Alex out around mid-field. Alex unfortunately had a flat on the way to the first control which he fixed promptly and continued smoothly through the course until just before the spectator control where he had yet another flat. Not wanting to run the remaining loop, which was taking about 15mins to ride, Alex got a tube from some the spectators. Their team was subsequently disqualified because you are unable to accept outside help even when two flats has definitely put you at a disadvantage. AJ had a couple of small mistakes, but otherwise had a speedy ride. So, what now of the "Mens B team" who are still in contention? Well, with two women in a strong field of men we were hardly ever in contention. All three of us had good rides with minimal small mistakes and we finished in 28th position out of 34 or so (and 18th nation). 2. Danish senior women who at the end of the second leg had a mere 2 or 3 second lead which Rikke Kornvig managed to extend to about 5minutes, and the Finish senior women who pulled themselves from 6th to 2nd in the final leg. 3. Mechanical tantrums were greatly entertaining. Second place went to Per Frost of Sweden who, after his second flat, declared that "I hate this f#cking sport, my tube is broken again" *all in a swedish accent*. However, he was well outclassed by the German first leg rider who ran up to the spectator control with a flat rear tyre apparently ready to complete the last loop on foot. When someone pointed out that he had just run 2 or 3 meters past the (blatantly obvious) spectator control it was the absolute last straw... he commenced to swear and curse, threw his bike at the control, picked it up threw it over the fence towards the spectators, lept over the fence and preceded to kick the sh!t out of his bike before turning on the nearest tree. I would like to say that I have photos to share of this episode, but Briohny was too scared of her own safety to take any, despite having a truely advantageous view. The team has now left Montalegre after the final hurrah at the banquet last night. Luke and I are currently hanging out in Porto before flying out to the UK tomorrow, Mary and Marc are headed back to Aus, while the rest of the team are spending a bit of time in Europe (AJ-racing, Alex-riding, Kay-touring, Grant and Briohny-following the tour) except for Steve who is holidaying in Thailand on the way home. All in all it was a successful championships for the Aussie team. And equally/more importantly it was an enjoyable time with some very entertaining moments and a great group of people.